Approximately 9 generations of the Ford Lincoln Continental were produced from the early 1950s to the mid 2000s. Much of the success in the later generations was due to the addition of the 4.6L engine. This InTech V8 gave drivers what the other generations of LIncoln’s lacked. This was power as well as fuel economy. The larger cars of the 70s and 80s did a lot for luxury, but very little for the driver that operated them. We sell used and remanufactured Ford engines here at www.carenginesforsale.com and among these engines we have the Ford Lincoln Continental 4.6L engines for sale at a very cheap price. The luxury and the awesome torque that the Continental engine provides is nothing short of spectacular. Many people are unaware that this engine was actually used in several Ford models like the Mustang and F-150 trucks. The InTech V8 gives every driver the freedom to have an engine that is great for regular driving, but that is also tough enough to pull a trailer. You get the same great deal regardless of what version of our 4.6-liter engines that you buy. Each remanufactured engine is rebuilt completely following the OEM specs sent to us by Ford. Our used engines are low mileage Ford engine replacements or pull outs that we have purchased from trusted sellers around the country. When it comes to comparisons, there aren’t any with our Ford engines. We know that we sell superior engines compared to what you have already found when doing your research. There is a reason that you landed on our website. We have built our name on trust with our customers and excellent quality motors that we work on right here inside of our facility. Just because we buy a used engine does not mean that our specialists do not put it through a testing phase. We can find any issue fast. Our computer controlled testing can locate any issue and even verify how many miles are on the engines. We are honest people that want to see you succeed when buying any engine of any type. We informed you we have low prices. We told you about how we test engines. We told you how great everything inside our inventory is when you receive it. We didn’t tell you how fast you’ll get our engines. The average delivery time frame is only a few days for every Ford motor that we ship out. Our freight companies do a great job of loading and unloading our 4.6L Ford engines from our warehouse each day. You get your motor quickly and in guaranteed used or remanufactured condition. Get your quote right from our website by typing the basics into our quotation form. If you want to call, we have a toll free number to make it easy. Just call 1-877-630-3873. There is no waiting or hassles that you are put through. We’ll tell you what you do not yet know about our 4.6-liter Ford engines and you can evaluate the information. 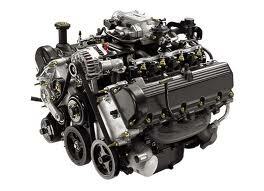 We are here to help you get a great remanufactured or used engine.